The food that all runners should eat to improve their endurance and make them run faster unfortunately does not exist. Some believe there is such a food, possibly “ugali” as this appears in the staple diet of the elite Kenyan runners. How many times do we see this nation’s athletes winning major events or setting new world records? Assuming there is no magic food what should a runner consider for their nutritional intake especially when training for an event? The simple answer goes back to basics that any diet should be balanced, healthy and include: carbohydrates, protein, fats, vitamins, and minerals. Carbohydrates provide an excellent source of energy for runners especially when taken as complex carbohydrates e.g. whole grain pasta, rice, potato, fruits, starchy vegetables, and whole grain breads. Protein is important to repair muscle tissue as well as being used in part as a fuel. 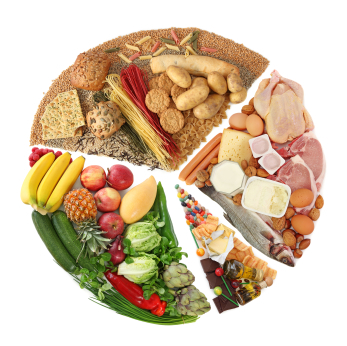 Foods high in protein include, lean meat, poultry, fish, low-fat dairy products, whole grains, and beans. Fats and especially foods that contain Omega 3 fatty acids should be included in the runners’ healthy diet. This can be supplied from oily fish, nuts, and some oils. There has been research into Omega-3 fatty acids found in fish oil that suggests it helps reduce damaging effects of inflammation. The majority of the vitamins and minerals required will be contained in a balanced healthy diet negating the need to take these in supplements. It is difficult to put an exact split of the ratio of carbohydrates, protein and fats that should be consumed by a runner. Where there is a high rate of endurance training, it is important to fuel this with higher levels of carbohydrate. Some experts suggest in such cases a reasonable guide could be: 60% carbohydrate, 25% protein and 15% fats. What is agreed upon is that eating carbohydrate and protein within 2 hours of completing a training session will help repair muscle damage and importantly restock the depleted muscle glycogen levels.